Do I get the account? 10 Responses to Bad Packaging, Cont. Now, Nora, what do you have against Ghana cola? It might be GREAT! You mean, the Ruskies Prostitutes had to go to Ghana to produce a cola? SAD! 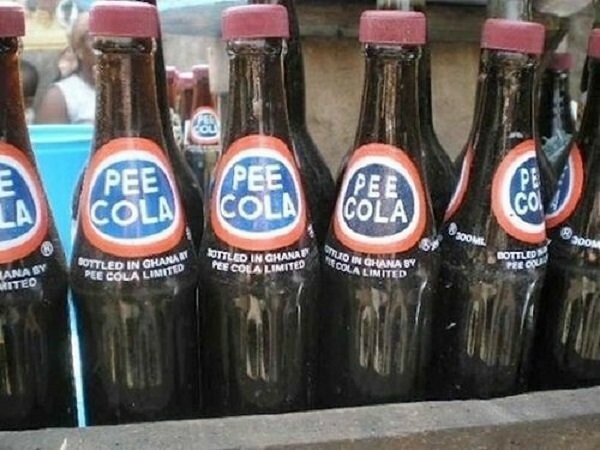 This must have been the beverage of choice on the p***y grab bus. Served in the finest 5 star Russian hotels. Judging from the color, the producer(s) may want to check with their urologist. I’ll grant you that I’m not normal, but I now have this image in my head of some guy standing in the alps dressed in lederhosen yodeling peeeeeeeeeee-cola.